One in seven men—some say one in six—will be diagnosed with prostate cancer, so it’s hardly a secret. In fact, you probably know someone in that group and might even be a member yourself, as am I. So why all the fuss about prostate cancer awareness? Why do we need a special month for that? With so many people already in that club, aren’t we pretty well aware of it yet? It’s a little surprising how this awareness thing actually works, and I’m still a bit embarrassed to admit how it worked for me. In 2010 my primary physician first expressed concern about the rising PSA level in my blood. He explained that my prostate might be enlarged, infected, or maybe even cancerous. He wanted me to see my urologist about it. Well, that’s fine except (1) I had no urologist, and (2) although I had heard of a prostate, prostrate, postrate, or some such thing, I had no clue where it was, what it did, or why I should care. I was a reasonably well-educated 60-year old man gainfully employed as an I.T. guy, and suddenly I needed a urologist and more than just an inkling about this tiny thing somewhere in my body quietly doing whatever it does without bothering me about it. … when my urologist began talking about the possibility of prostate cancer and the need for a biopsy, I became officially aware. So I found a urologist and gave myself a crash course in prostate anatomy—about as much fun as my horrible high school chemistry class, but suddenly much more relevant. Months later, when my urologist began talking about the possibility of prostate cancer and the need for a biopsy, I became officially aware. When the biopsy came back positive I became extremely aware of the importance of this little walnut-sized gizmo. I decided to treat my prostate cancer with proton therapy at the University of Florida Health Proton Therapy Institute in Jacksonville. 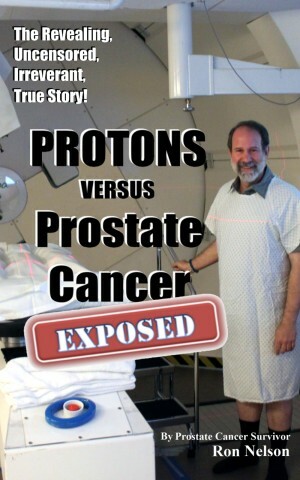 When I informed my thirty or so highly educated extremely intelligent coworkers in the Information Technology Department for Richland County Government, I was surprised to learn that many of them knew less about prostates and prostate cancer than I did. Worse yet, some had not even heard of a PSA test. 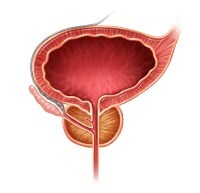 I had become the de facto resident expert on all matters prostate. What I’ve learned is that we often remain unaware that something even exists until it becomes a problem for us or for someone we know or love. This makes sense because we simply cannot focus our limited awareness on too many things at once without experiencing mental overload. But when we receive a wake-up call for one of life’s inevitable unanticipated challenges, we focus fast. For example, my wife developed a problem with a bunion. What’s a bunion? I knew it was foot-related, something like a wart or a callous, I thought. Wrong! It’s a very painful and potentially crippling bone issue. 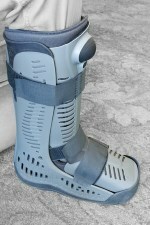 It usually requires surgery, bone cutting and re-positioning, maybe a couple of screws, and then many weeks of frequent icing while wearing a Frankenstein boot and avoiding any weight on the foot. Until it hit home, I was clueless. Now I am bunion-aware. I’ll go out on a limb and state that we probably don’t need a bunion awareness month, but there is a big difference between bunions and prostate cancer. If you develop a bunion you’ll become aware of it soon enough. Furthermore, unless the affected foot became problematic, symptomatic, and painful, there would not likely be any reason to care about a developing bunion still in its infancy. … we probably don’t need a bunion awareness month, but there is a big difference between bunions and prostate cancer. Prostate cancer is different. Unlike bunions, early detection when there are often no symptoms can make all the difference. And although both bunions and prostate cancer can have an impact on the all-important quality of life, bunions are not life-threatening. Maybe an official prostate cancer awareness month is not such a bad idea. Now, please forgive me, but I have to ask a related question: As a society, do we genuinely want prostate cancer awareness, or do we prefer prostate cancer ignorance? It is duplicitous to promote awareness while simultaneously discouraging testing that can help detect this cancer in its early pre-symptomatic stages. Either we want to know, or we don’t. The PSA test, a simple and inexpensive blood test, can give us one of only a few clues about whether prostate cancer might exist. Yet many people in medicine and government preach the evils of allowing men to have the information the PSA test provides. Whatever their reasons might be, they are advocating ignorance over information. They are advocating prostate cancer unawareness. 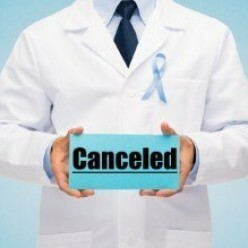 Cancel prostate cancer awareness month? To be consistent, the anti-testing crowd would have to advocate canceling prostate cancer awareness month. They would have to believe that if people were less aware of the challenges presented by that disease, maybe men would not even seek early detection tests. This seems to be their goal, yet I doubt such self-appointed Guardians of Information would explicitly advocate prostate cancer ignorance. That would sound silly, but that’s the essence of the anti-testing position. We can choose to remain unaware of the need for early detection of prostate cancer. We can advocate against PSA testing, DRE testing, and any other testing that might give clues about prostate cancer. We could even cancel prostate cancer awareness month. We can hide our heads in the sand. Well, I’ve convinced myself: Maybe we do need a prostate cancer awareness month after all. Yes, I’ll go ahead and take that position and suggest that we all should do whatever we can to educate everyone about prostate cancer, early detection, and state-of–the art treatment options (like proton therapy) that preserve quality of life while battling the cancer. Better yet, maybe we just need prostate cancer awareness, period. Every month.